In March 1861, one of many job-seekers arrived at the White House, looking for patronage at the hands of the new President, Abraham Lincoln. Unlike many, this one was successful. Ultimately, though, he turned down the offer–and ended up fighting, and dying, for the Confederacy. 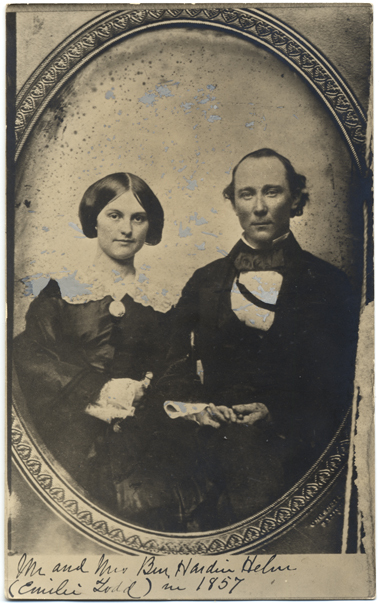 The job-seeker was Benjamin Hardin Helm, who was married to Mary Lincoln’s half-sister Emily Todd. A native of Elizabethtown, Kentucky, Helm (“Hardin” to his friends) was a West Point graduate. While stationed in Texas, he became ill and ended up resigning from the army. After studying law in Louisville, Kentucky, and at Harvard, he set up shop as a lawyer. 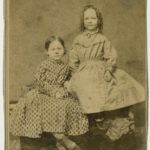 At the time Lincoln became President, Hardin and Emily were living in Louisville with their two young daughters. I hope you will pardon me for intruding myself upon your notice at this time. I have presumed (I hope not too far) upon the friendly relations that have heretofore existed between yourself & my father’s family to write this letter requesting a favor at your hands. I have been for some time an applicant for the position of Pay-Master in the United States Army and I presume my application is now on file in the Adjutant General’s office, at least I was so informed by an officer in that department. I graduated at the Military Academy at West Point in 1851 and refer you to the Cadet Register of that date for my standing in my class. I served some time in the Army after I graduated. I contracted bad health while serving in Texas and was compelled to resign my commission. Since the restoration of my health I have been anxious to return to service. I understand that a position has lately opened in the Pay department by the resignation of Major Macklin [Sackfield Maclin]. Will you do me the great favor & use your influence with the President & Secretary of War to procure for me the position made vacant by the resignation above mentioned. I shall feel grateful to you for any assistance you can give me in this matter. From the first I took, under the orders of the general-in-chief, especial care in guarding the Executive Mansion; without, however, doing it so ostentatiously as to attract public attention. It was not considered advisable that it should appear that the President of the United States was for his personal safety obliged to surround himself by armed guards. Mr. Lincoln was not consulted in the matter. But Captain Todd, formerly an officer of the regular army, who was, I believe, the brother-in-law of Mrs. Lincoln, was then residing in the Presidential Mansion, and with him I was daily and nightly in communication, in order that, in case of danger, one person in the President’s household should know where to find the main body of the guard, to the officer commanding which Captain Todd was each night introduced. Double sentries were placed in the shrubbery all around the mansion and the main body of the guard was posted in a vacant basement room from which a staircase led to the upper floors. A person entering by the main gate and walking up to the front door of the Executive Mansion during the night could see no sign of a guard ; but from the moment any one entered the grounds by any entrance, he was under the view of at least two riflemen standing silent in the shrubbery, and any suspicious movement on his part would have caused his immediate arrest ; and inside, the call of Captain Todd would have been promptly answered by armed men. The precautions were taken before Fort Sumter was fired on as well as afterward. Even as his widow mourned him, she began to craft an alternative story about the paymaster job–one that endures today. A clipping of an obituary of Hardin in Emily Helm’s papers, apparently published by an Atlanta paper, gives precise and accurate details of his civilian and military career that surely must have come from Emily, who had arrived in Atlanta for Hardin’s funeral and stayed there for a few days afterward. 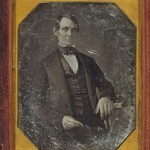 Hardin, the obituary states, “was approached with proffers of high position in the Federal army when the war first broke out, but he never entertained such bribes, preferring rather to labor and suffer in the cause of liberty with his own people.” Henceforth, in all tellings of the paymaster story, it would be President Lincoln, eager to keep Hardin in the Union, who had invited Hardin to Washington and pressed him to take the paymaster position. Hardin’s lobbying for the position would be discreetly forgotten. As the narrator of The First Lady and the Rebel (coming in October 2019) states, the truth was simply too complicated. Stephen Berry, House of Abraham: Lincoln and the Todds, a Family Divided by War. Michael Burlingame and John R. Turner Ettlinger, eds., Inside Lincoln’s White House: The Complete Civil War Diary of John Hay. Collected Works of Abraham Lincoln, vol. 4. James B. Conroy, Lincoln’s White House: The People’s House in Wartime. General Orders of the War Department, Embracing the Years 1861, 1862, and 1863, vol. I.
Richard E. Hart, “Elizabeth Jane Todd Grimsley and The Illinois Todds,” For the People, Winter 2013. Benjamin Hardin Helm service file (retrieved from fold3.com). 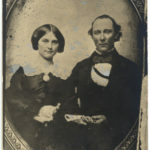 Emilie Todd Helm papers, Kentucky Historical Society. 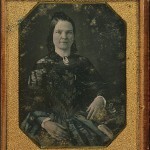 Katherine Helm, Mary, Wife of Lincoln. Joseph Holt Papers, Library of Congress. “Lincoln and Helm,” Cleveland Plain Dealer, August 7, 1892 (reprinted from Washington City Herald). Charles P. Stone, “Washington in March and April, 1861,” Magazine of American History, Vol. XIV, July-December 1885. 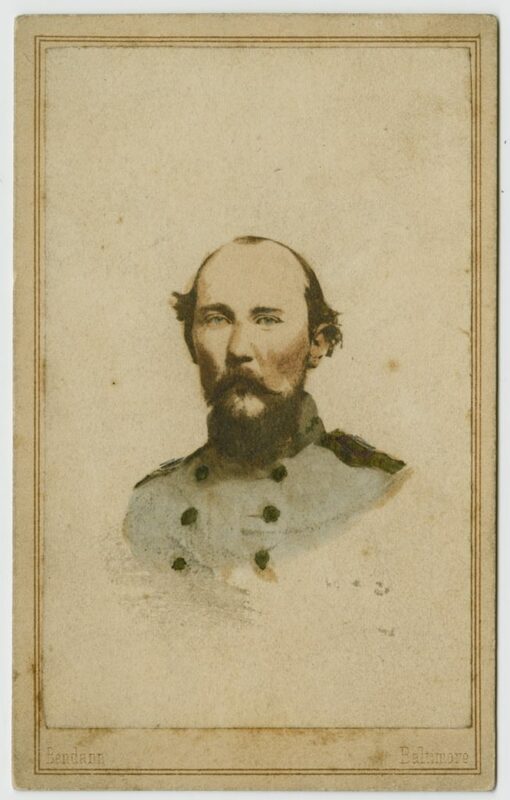 This entry was posted in American Civil War and tagged Abraham Lincoln, Benjamin Hardin Helm, Civil War. Bookmark the permalink.